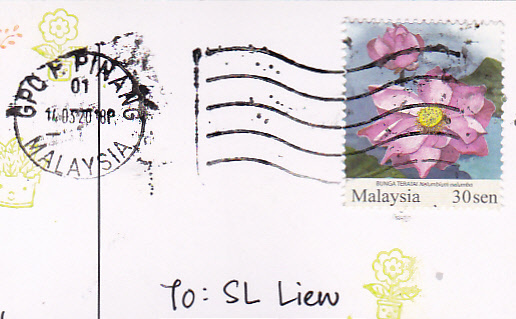 My worldwide collection of postcards written stamped and mailed to me from the country of origin. Trying to get 20 postcards sent from every country. Thank you. Xie xie. Merci. Gracias. Terima kasih. I have been to New Year's Eve celebration at Straits Quay, Tanjong Tokong, Penang Island. There is a wonderful fireworks lighting in the sky to celebrate and welcome the new year. 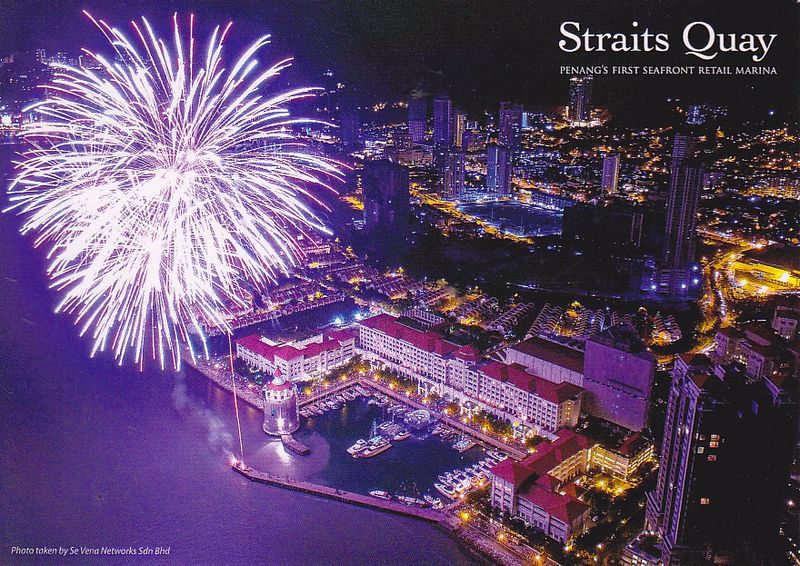 Thanks to Law of Penang, Malaysia for this postcard - a great addition to my postcard collection of fireworks. Welcome! Please send me a postcard or exchange a postcard with me. It will brighten my day. "Deltiology" is the study and collecting of postcards.